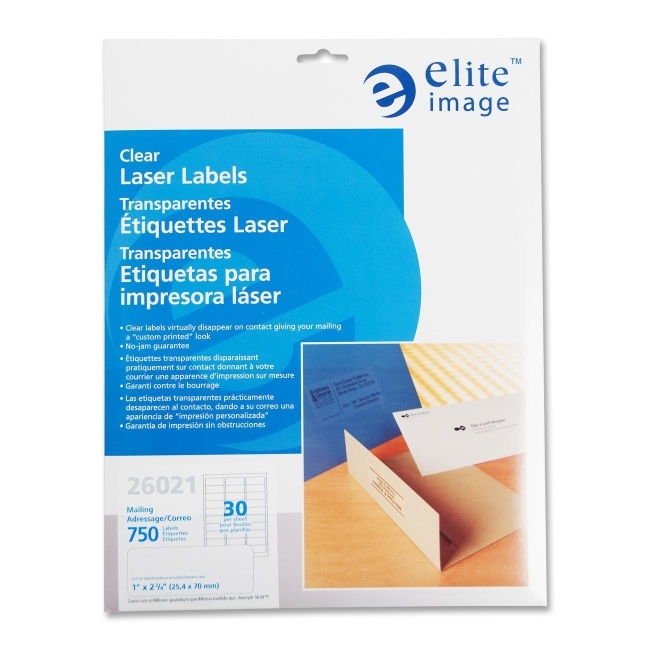 Elite Image Clear Address Laser Labels 750 / Pack 1" Width x 2.75"
Clear labels give addresses a professional, customized look. 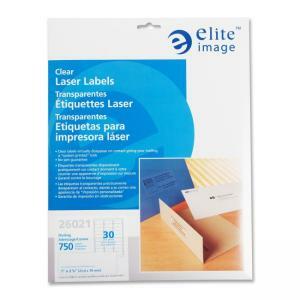 Labels virtually disappear on paper. Compatible with laser printers only. Not for use in inkjet printers. Labels have permanent adhesive.